I like blogs with pictures. I like blogs that update fairly regularly. Since I mostly stick with the Artful Quilters Ring, I like blogs that have the AQR icon somewhere near the top of their blog. I like it when I can read the comments easily. I like it when people comment on my blog. I like it when my blogroll list actually seems to reflect the order of blogs with "new" entries. Or at least I think I'd like it -- it's never actually happened. I love the comraderie, community, like-mindedness, creativity, humor, inspiration, idea-generating, support and helpfulness that seeps into lots of what we do, share and write! I agree with you so much. I love pictures. 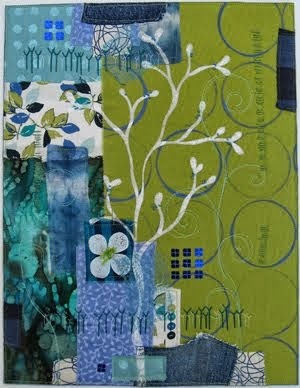 And I really get disappointed when I go thru the Artful Quilters Ring and many are not updated. I am also disappointed because so few people leave comments on my site even tho I faithfully update. BTW, I don't bother with the "next" button...I just automatically start with Fibermania and then use the list to go through everyone's blog in the order they appear. But there are several that I generally skip because they are so seldom updated. Glad to see you are back since you are one of the people at fault for getting me into blogging in the first place!! Joining and reading the blogs on AQR has been so enjoyable for me. I too like the pictures and the comraderie of the group. The art work and shared experiences have inspired me and I find myself looking forward to browsing the AQR list for new entries everyday. Hey! I wrote a book! 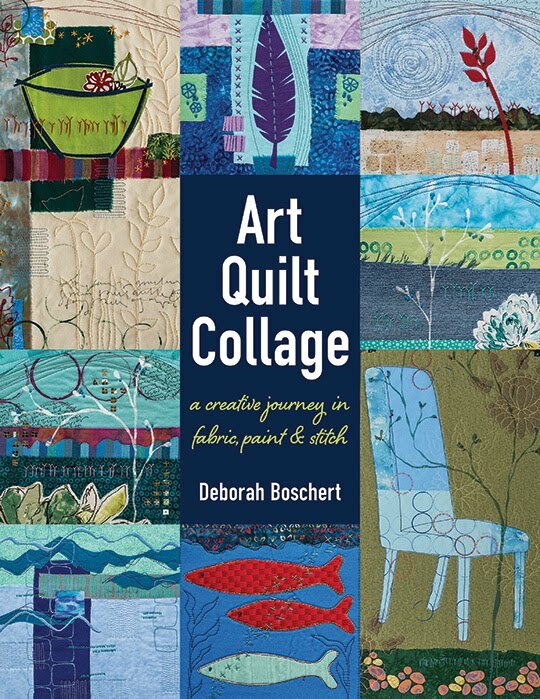 Deborah Boschert is a participant in the Amazon Services LLC Associates Program, an affiliate advertising program designed to provide a means for sites to earn advertising fees by advertising and linking to Amazon.